Increasing atmospheric concentrations of carbon dioxide, caused by human activities including power generation, are driving climate change. While this poses a great threat to the environment and society in general, there is also a growing demand for energy and energy security is a priority. Carbon sequestration is a prominent technology in the strategies for climate change mitigation and adaptation developed as a collective response to these issues. Coal seams are candidate formations for the deep geological sequestration of carbon dioxide captured from large point source emissions at power plants and industry sites. 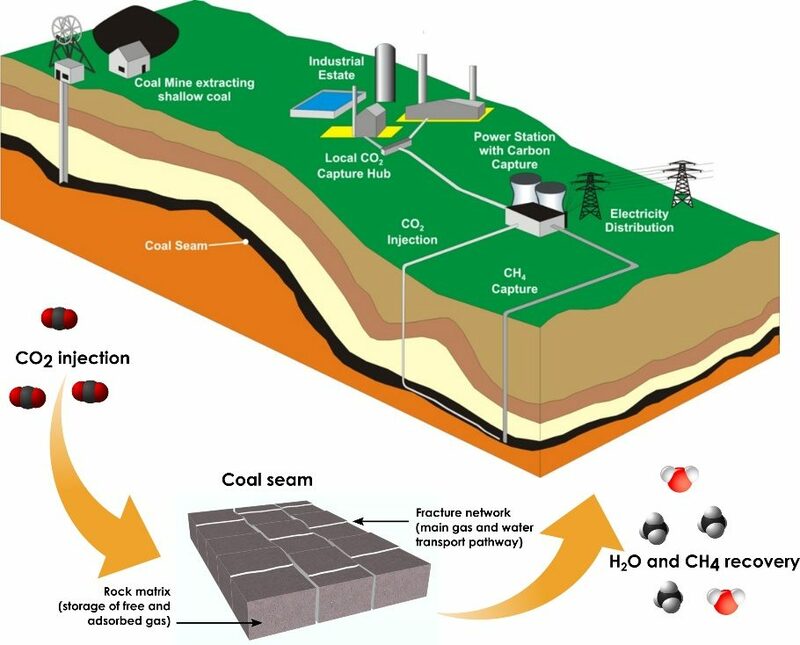 The potential to jointly enhance the recovery of coalbed methane can provide decarbonised energy and offset expenditure, currently a pressing need for carbon capture and sequestration. Carbon sequestration in soil is another option, whereby the natural soil carbon cycle is managed to reduce the turnover of carbon fixed from carbon dioxide by plants, promoting its retention as stable soil organic matter and offsetting human emissions. Of particular interest for sequestration in coal seams are the swelling of the coal caused by carbon dioxide adsorption and the long term fate of the injected gas. The preferential displacement of coal seam methane is another, albeit better-understood, area of interest. By focusing on the physical and chemical processes underlying these areas, the work package aims to improve our current understanding of how best to apply the technology in practice. In principle, the problems of injection rate fall-off, storage security, and techno-economic viability will be addressed. For sequestration in soil, the focus is on the underlying processes governing the turnover of carbon in soil, as well as on the development of robust land management strategies for maintaining and increasing the stocks of soil carbon. 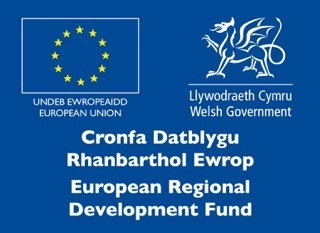 This component of the work package is being delivered in collaboration with Aberystwyth University and Bangor University. Bespoke numerical modelling of coupled thermal-hydraulic-chemical-mechanical-biological behaviour in coal and soil. Numerical analysis of high pressure gas injection, storage and displacement in coal, and organic and inorganic carbon dynamics in soil. Laboratory analysis of carbon dioxide injection using large intact samples of Welsh coal. Fully-instrumented and monitored field testing of carbon sequestration in soil. Developing land management strategies for maintaining and increasing the stocks of soil carbon. Collaborating with industrial partners, including TATA, at technology demonstration sites. Extensive computational modelling expertise and facilities are at the heart of much of the GRC’s activities. The in-house developed numerical model, COMPASS, is capable of high performance simulations of three-dimensional multiphase, multicomponent reactive transport in geomaterials. The model has been developed over the last 30 years using a coupled thermal, hydraulic, biogeochemical and mechanical formulation. The Centre’s Multipurpose Gas Laboratory features high pressure gas sorption and flow measurement units, with an ancillary system comprising a pure and mixed gas supply, syringe pumps for supercritical carbon dioxide injection, a backpressure regulator, and a gas analysing unit. This apparatus is highly versatile, enabling the study of a wide range of phenomena critical to establishing the viability of carbon sequestration in the deep geoenvironment, particularly in coal seams. To look at optimising carbon storage in the Welsh landscape we will be using the Bangor University Henfaes Experimental Station. This contains a wide variety of land uses and soil types and provides an ideal location to study landscape scale processes and management options for enhancing carbon sequestration. It will use the mobile greenhouse gas monitoring infrastructure and the stable- and radio-isotope tracing laboratories within the Environment Centre Wales. The Institute of Biological, Environmental and Rural Sciences (IBERS) is an internationally-recognised research and teaching centre providing a unique base for research in response to global challenges such as food security, bioenergy and sustainability, and the impacts of climate change.